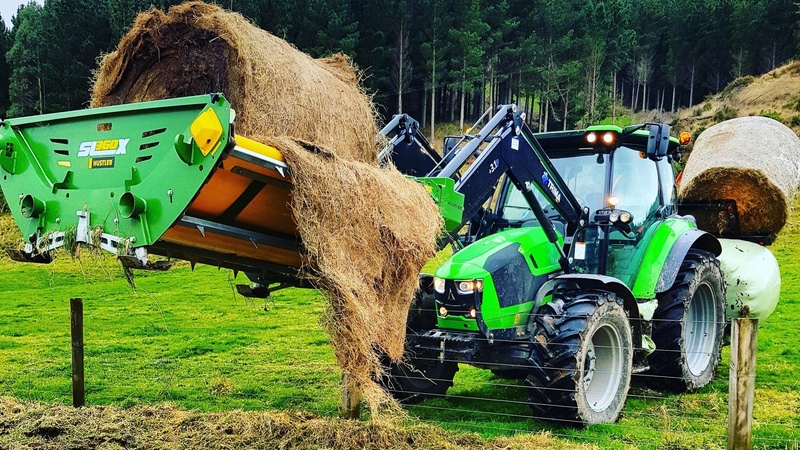 In the past to disconnect your feeding cradle from the head-stock when using 3 point linkage mounted bale feeders, required pulling on a rope, this made it difficult to mount the bale feeder anywhere else except on the rear of the tractor. The team here at Hustler took on board feedback from farmers and developed this patented new feature called Snaplox. This simplifies your operation, all you need to do is lower the machine to the ground and drive away, the dual latch system automatically disconnects and is ready to reconnect the moment you drive away. Just simple reliable, a mechanical action that is seamless and fool-proof and operates naturally. .